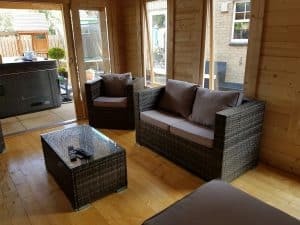 If you happen to have a 3x7m free space in your garden, here is one idea of what you could do with it. 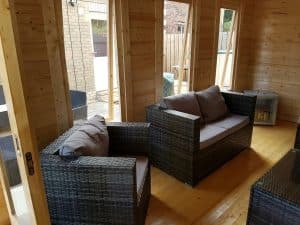 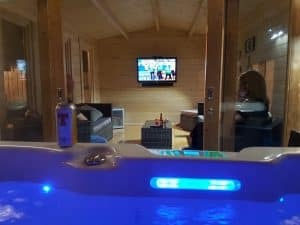 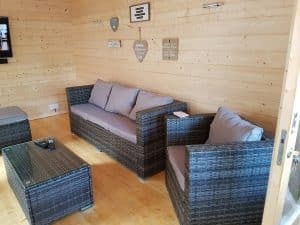 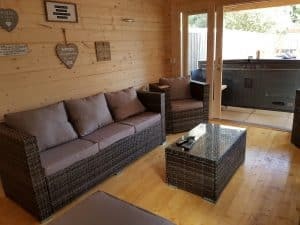 Our lovely Scottish customers fitted out a cozy garden room to relax in and used the veranda for a hot tub. 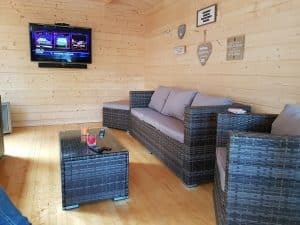 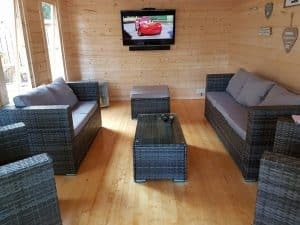 The Eva E cabin with veranda can be bought for as little as £3990 including home delivery, but enjoying your favorite TV shows or sports channel, while luxuriating outdoors in a hot tub is priceless! 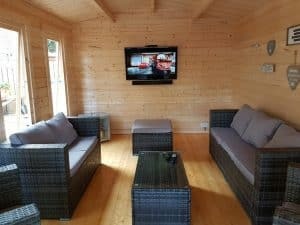 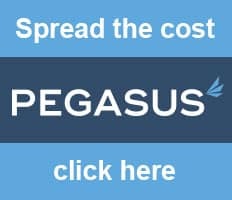 We still have a number of Eva E cabins for fast 2-3 weeks’ delivery.